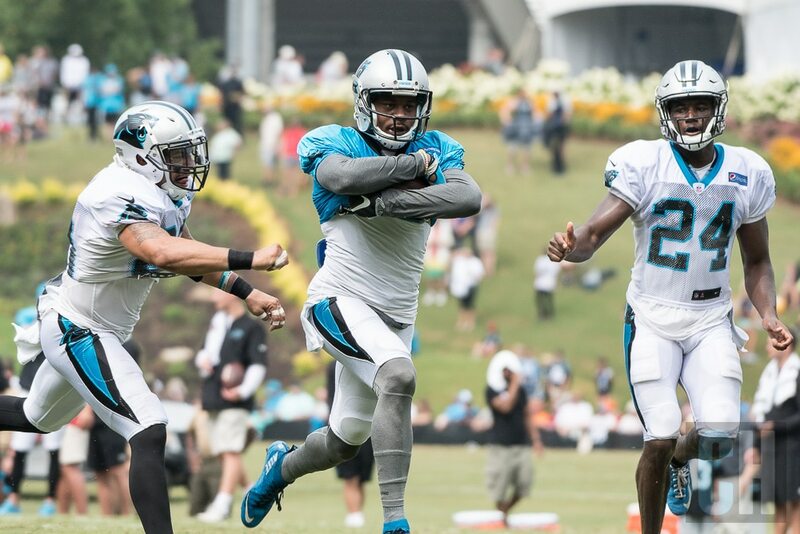 Up until today the common theme of Carolina Panthers training camp practices was the solid play of the Panthers young secondary. Today, however, the script was flipped. Late in practice during full team drills, Cam Newton connected with his two fastest receivers for back to back touchdowns. For the first time, the Carolina Panthers definitely looked like they had two rookies playing corner. 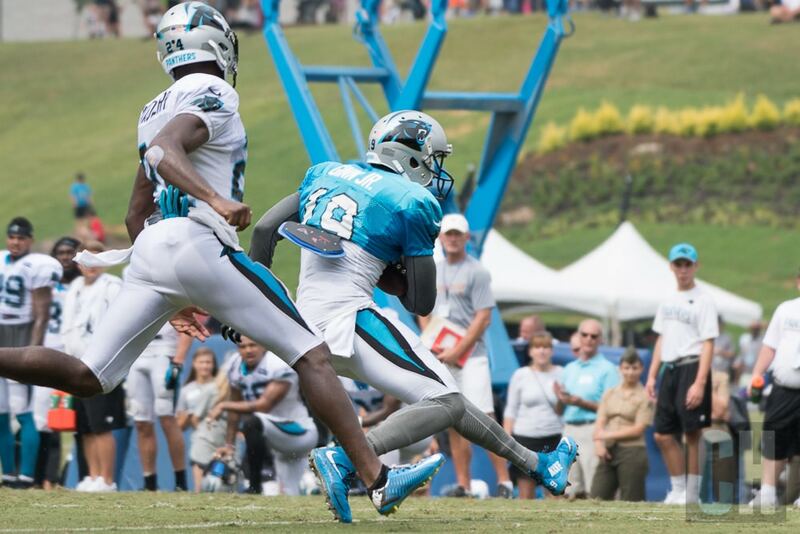 First, Ted Ginn broke away from rookie James Bradberry on a crossing route. As he caught the ball, Ginn performed a “stutter and go” as he put on the brakes and changed direction. Bradberry ran helplessly past Ginn, taking himself out of the play. From there, nothing stood between Ted Ginn and the end zone but open turf. Ten times out of then, that will be an touchdown for the Carolina Panthers, as no defensive player on the team has the speed to catch up with the lightning quick Ginn. Great play for Ginn, great lesson for Bradberry. Ginn has not played his best football up until today. As such, he took a moment to celebrate his play while the play was transpiring. Ginn spun around and looked at the defense behind him, taking a few extra steps on the way to pay dirt. The second touchdown went to second year receiver Damiere Byrd on a fly route. Byrd found himself well behind both Kurt Coleman and Daryl Worley. Byrd cradled the ball to his body as both defenders fell to the ground. From there, just like the Ginn touchdown, there was only open space on the way to the end zone. Damiere Byrd has electrified the Carolina Panthers fan base with his tremendous speed and potential. His touchdown today was by far his most impressive play this year. Not only was Damiere able to make the catch and finish the play, he was able to do so against the Carolina Panthers first string defense. This was an important step for Byrd, a step that puts him squarely back in the wide receivers discussion.